First off, I have a simple table that shows the probability of making it into assault at certain distances. The first column is the 2D6 result that you need to make it into assault. the second is the percent chance that you have of making that roll, and the last is the chance of making that roll if you are using a jump pack to re-roll both the dice if you fall short the first time. From this we can see that your chances of making it into assault really start to drop off for most units after about 5 or 6 inches. Jump units don't start to really see a drop in their chances until about 7 to 8 inches. This graph shows the same thing in a more visual way. You can see that the jump pack unit's chances staay above 90% for much longer than the normal units. So i got to thinking, would it be better for me to move my assault marines 6" in the movement phase, and re-roll the dice for assault range, or move 12" in the movement phase and roll assault distance normally? This table answers that question pretty well. If you use your jump pack in the movement phase (normal), then you have an 80%(ish) chance of making an assault that is 17 inches away, but if you use your jump pack in the assault phase, you will have an 80% chance of making it 13 inches into an assault. So if you want to increase your chances of getting into an assault, you should use your jump pack in the movement phase, but you will be giving up your hammer of wrath attacks. So it's a trade off. 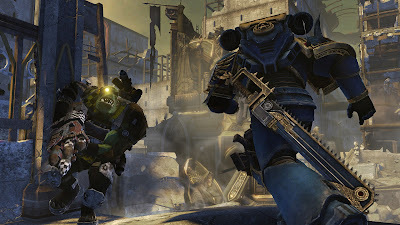 If you are close enough, I would use the jump pack in the assault and get hammer of wrath, but if you're farther away, or just really need to get into assault (if they have a bunch of big guns about to blow you away) then go with the jump pack in the movement phase. So the last bit I have here is for units with the "fleet" special rule, and is actually from 40kmath.com. This is a great article, and this guy did some serious number crunching to figure this out so thank you to him! So let me explain this table first. Lets say that we are 8 inches away from the unit you are trying to assault. Normally we would have a 42% chance to make the assault, but since we have fleet our chances are much better. First, we find the row with the roll we need (in this case 8) and follow that row to the right until we reach the highlighted box. Once we get there we look at the column that box is in. For a roll of 8 we find ourselves in column "RR 3-G8". The column title tells us that we need to re-roll everything 3 or less and we will maximize our chances of getting into the assault (head on over to his site for a more in depth explanation). Based on this chart, rolling everything that is 3 or less (assuming you didn't make the roll you need) will generally get you the best chance of making the assault. The only exceptions are when you need to assault less than 5 inches, or more than 10 inches. For those of you who use units with the fleet rule, this chart will be very nice to have with you (The guy who made it has a cheat sheet here that you can print out and take to your games). He also has another chart that shows the same thing for moving through difficult terrain. Well i hope that someone out there found this useful/interesting. Hopefully I can get some modeling/painting time in here soon. School is kinda killing my time right now though (only one more year until I'm done with school forever!) Thanks for reading!